Peacefully located in a private residential domain, this rustic and spacious property, decorated with wooden ancient furniture, enjoys a large. Peacefully located in a private residential domain, this rustic and spacious property, decorated with wooden ancient furniture, enjoys a large, very private swimming pool in its spacious garden and views over the village from the first floor balcony. Perfect for a get away from it all holiday to either relax or explore this stunning region of the French Riviera. Cannes is just a short drive to the south, the star of the Riviera, where the rich and famous flock every year for the annual film festival. To the north is the perfume capital of Grasse and to the east, the arts and crafts touristy villages of Saint Paul and Vence. Day excursions could also include trips to the immaculate principality of Monaco or a stunning coastal road drive to Saint Tropez to mingle with the jet setters, passing the lovely resorts of Theoule sur Mer, Frejus, Saint Raphael and Saint Maxime on the way. There are also numerous golf courses in the region. This villa is made from brick or stone and was originally built in 1980 and refurbished in 2008. The agent has rated it as a three star property so it is a well-kept villa, equipped with standard furniture. It is also good value for money. 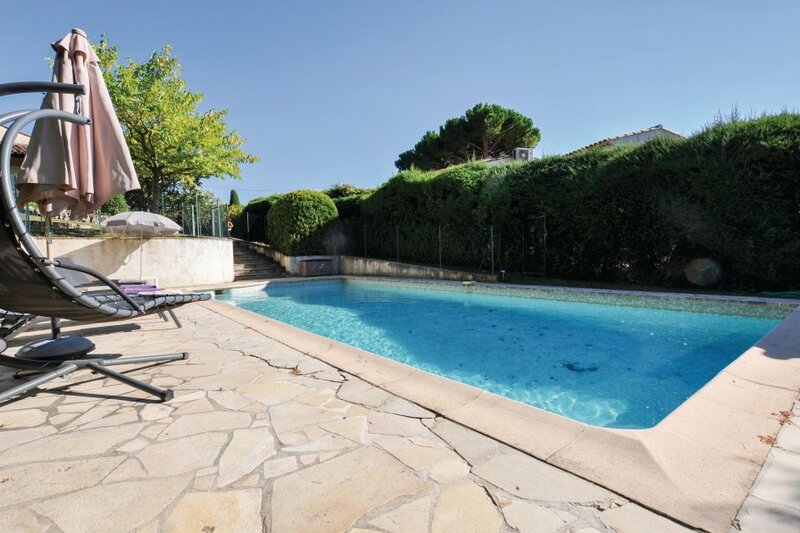 This villa has a private pool and is located in Les Colles-Camp Lauvas-Font de l'Orme, only 8km from Cannes. It is set in a good location: there is a restaurant 1km away.